Government foreclosures are homes that have been repossessed by the U.S. Department of Housing and Urban Development because of nonpayment of a loan that they secured. 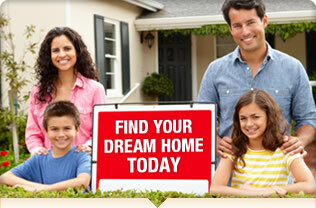 Many people utilize HUD to secure their loans and allow them to buy homes that they could have otherwise not afforded. Much like losing a home to a lender for non-payment, people who fail to pay their mortgage with a HUD-secured loan will lose their home and it will become the property of the U.S. Government through HUD. Aren't Government Homes Hard to Buy? Not any harder than it is to buy any other home. Most realtors are authorized to sell HUD homes and government foreclosures, so you can generally submit a bid through any number of realtors in your area and get an answer back in no time at all. If you're looking to get a good deal, you will have to work a little harder than you would with a typical lender, because the government isn't as likely to wheel and deal. However, they generally list their foreclosures at very low prices so that they sell fast, making the homes easier to get than they might have been otherwise. There Aren't Government Foreclosure Homes in My Area. Are there? Yes. Government foreclosure homes can be found all over the country, and you can get great deals on them as long as you know where to look. Government foreclosure properties and other repossessed properties have also created a great source of income for real estate investors all over the United States. You don't have to be anyone special to buy these great properties. You simply have to know where to look to find them. Government foreclosures can be sitting right next door to your home, and you might not even know it until you are able to access all the great listings that there are. Sign up today for our 7 day trial membership before the offer is gone! You'll get exclusive listings of the newest and most popular government foreclosures in your area, along with access to comprehensive advice and information about foreclosures and buying homes that are sold in a non-traditional format. If you want to make the most of your next home purchase or real estate investment, you need to consider the option of buying government foreclosures because they can afford you the home that you want at a price you can't pass up.